Mr James Barker, Principal from 1961 to 1971, had been the foundation Headmaster at St Albans High School and so was familiar with the frustrations experienced by the Strathmore community. When he arrived at Strathmore the basic buildings (what are now A, B and C blocks) had been completed but there were few amenities for the 932 students who were now enrolled from Forms 1 to 5. In 1961 the Strathmore railway overpass was constructed affecting the southern end of the school. Between 1967 and 1970 the Tullamarine Freeway was constructed. This seriously impacted on the site, most significantly as a result of the realignment of the Moonee Ponds Creek that had previously run through the middle of the school site. In 1969 Pascoe Vale Road was widened affecting the school’s Western boundary and necessitating double-glazing along the Pascoe Vale Road frontage. In 1964 the in-ground heated pool was built with the support of the Cooperative Society. In 1965 the Commonwealth Government funded construction of a science block. In 1971 the assembly hall was built. 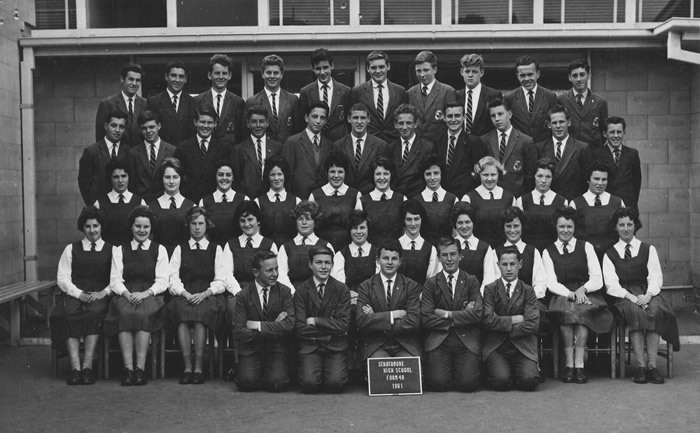 Most significantly, from 1963 onwards the school included Form 6 (at the time known as Matriculation). Students achieved consistently good Matriculation results thus adding to the purposeful, positive atmosphere of the school. The size of the school remained relatively stable during this period with 1971 being the tenth year in succession that the school had started the year with an enrolment of over 1000 students. 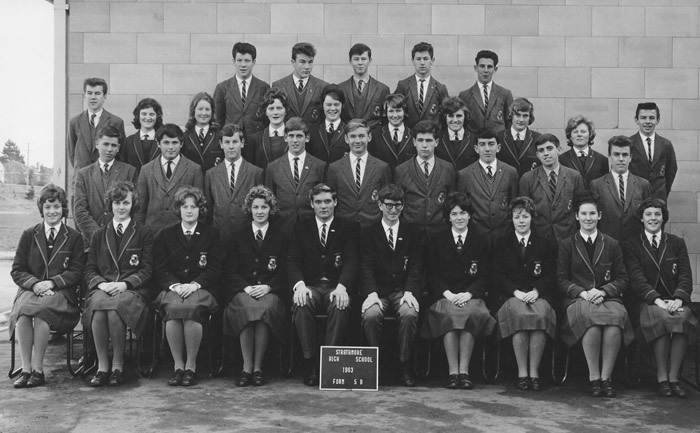 For most of the 1960s practically all classes had 35 students or more and a number would be over 40. This was also a time of increasing teacher shortage. 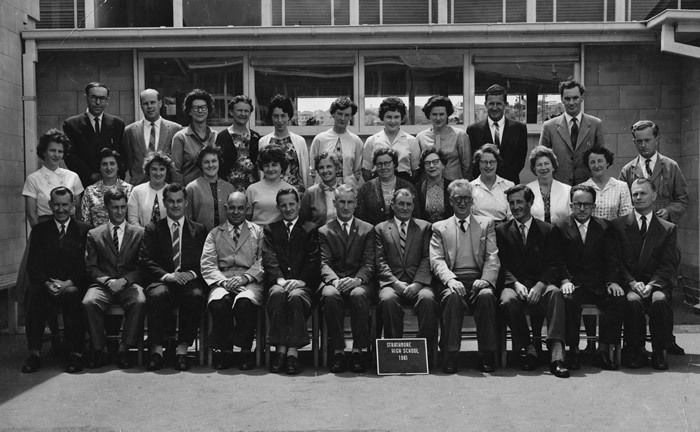 In his 1971 Principal’s report Mr Barker talks of the number of teacher appointments being less than required and as a result Form 5 students having their time allocations reduced by 1 hour per subject.